Join us to learn everyday English, improve your English or learn more about American culture while practicing English. 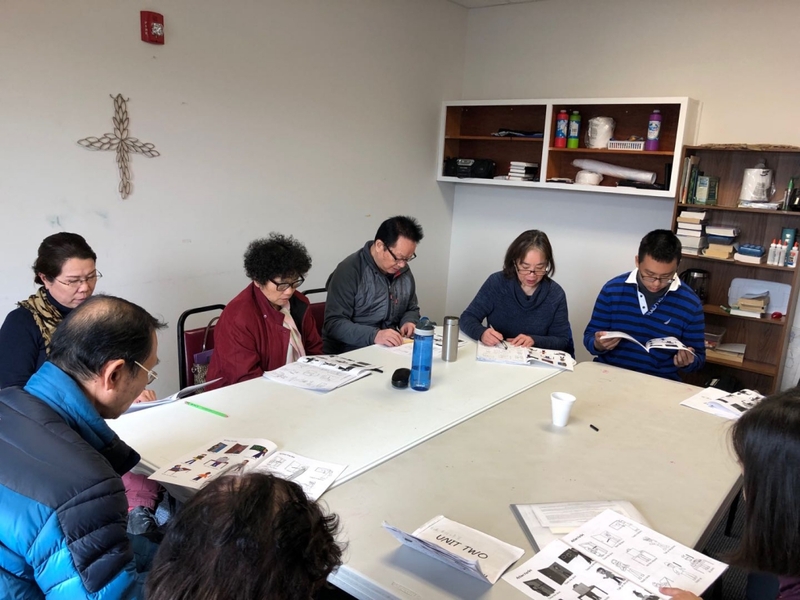 Typical lessons often include 5 ~ 10 minutes story telling, 30 minutes English language study focusing on simple conversations for everyday life, and finally 5~ 10 Bible words or verses as we share the Good News with those who are eager to learn more of English. 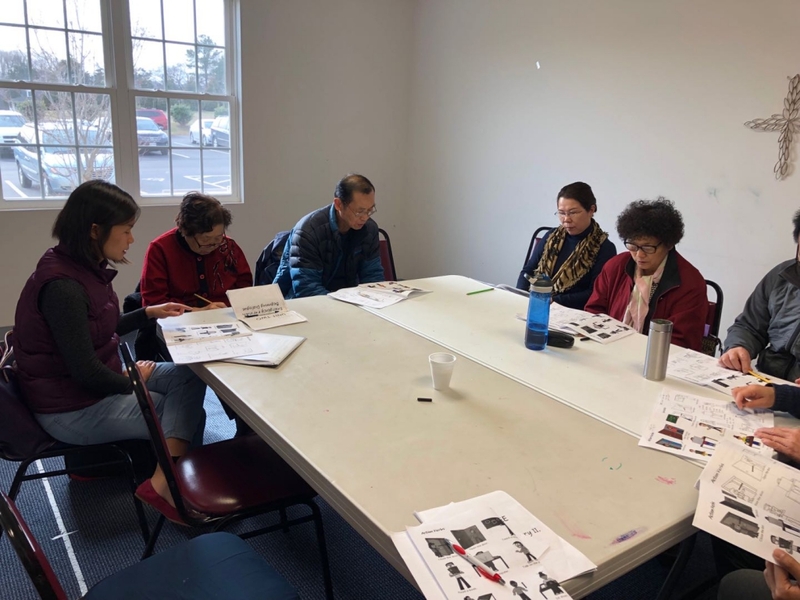 Occasionally we teach English songs with physical exercise or play games in the class to help learning English with fun. Class is free of charge. Everyone is automatically qualified. We welcome all who want to attend classes and offer on-going student registration. We provide both handouts and/or textbooks as study materials.